The topic of USRSA is not quite related to the X-ELS machine, it may be a wrong thing to deviate too far from the topic of the thread, but it is related to learning how to string. USRSA web site and material posted in members-only section makes a ... how should I say ... complicated impression. The site evidently was created around 2010-2011 or so and was actively maintained until 2013-mid 2014. At that point, USRSA stopped updating the content. Probably the person who did it left the company... You will find that reviews of equipment do not go past 2013, tables of freebies that come with membership end around 2014, that some tools (e.g., racquet balance calculator, can't remember the exact name) require an outdated Java plugin supported only up to Windows XP, etc. The web site contents were more valuable several years ago than they are now, when they are largely outdated, with a few exceptions. The URSA Racquet Professional Study Guide is a great resource for beginners, 112 pages of good information. It can be downloaded in PDF format and printed. Interactive video tutorial has estimated several hours of streaming videos broken into short segments from less than a minute to several minutes each. Videos closely follow the Study Guide. Videos are professional but resolution is tiny, 240x180. These are also great for beginners. The booklet that comes with the machine is a nice synopsis of the USRSA Study Guide, a much shorter version which still contains all key information. For experienced stringers, the key value is in Stringer's digest (which comes in printed form only with the full membership) as well as access to always up-to-date online version of the Stringers Digest - also with a little clunky interface, but it works.I've read people writing on this forum that they value live support from USRSA when they need it. The ability to get certified may also be of value to those who make profit from stringing. Since certification or stringing for others (except perhaps a couple of friends for whom we would restring for free) is not on our "to do" list for the near future (not only because we still have a lot to learn, but also because we bought the machine only for our own home use), I am going to get my trial membership expire (I do not need an up-to-date Digest or free samples of obscure strings which I am not going to use), but I will maintain awareness of values which USRSA membership carries for professionals who take stringing jobs for others or make money by stringing. In my opinion, the $9 one month trial membership is an excellent starting point for beginners. Those who have stringing experience but not string for profit might find it less of a value and would likely be disappointed about the abundance of outdated information - articles, reviews, comparisons of equipment which is no longer even made. Professionals will certainly benefit from full membership that comes with the printed and online Digest. I got a clarification from the helpful TW staff that X-ELS was temporarily taken off their web site because it was out of stock with the manufacturer. Now, as of Sept 19, 2017, it is back on stock, and it should have appeared on TW web site again. For experienced stringers, the key value is in Stringer's digest (which comes in printed form only with the full membership) as well as access to always up-to-date online version of the Stringers Digest - also with a little clunky interface, but it works. Thanks a lot. It's good information. I checked the USRSA site and I remembered my first impression. I'd be able get the most out of it if I were a US resident. From what you described above, the Study Guide could have helped me like it did to you. But now I guess it isn't much for me anymore. Probably I'll think about it again if I start having customers. REVIEW OF THE MACHINE. PART 4. 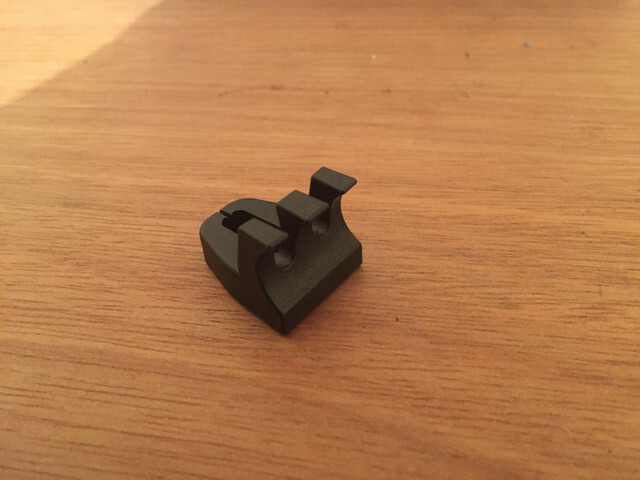 TURNTABLE LOCK. Nothing groundbreaking here, the lock is located under the turntable. I found that I rarely need to use it, so it does not matter much how convenient it is. It is not super conveniently located, but it is accessible. No problems with reaching it. Works well. REVIEW OF THE MACHINE. PART 5. POWER SWITCH AND CONNECTORS. The only electronic component in the machine is the tension head unit, so, not surprisingly, power switch and all connectors are on this unit, on its back. Top right connector which looks like a telephone cable connector is the connector for String Length Meter which has been "currently not available" for at least 8 years. Bottom right connector is for the power cable. Circular connector in the middle of bottom row is for the foot pedal. 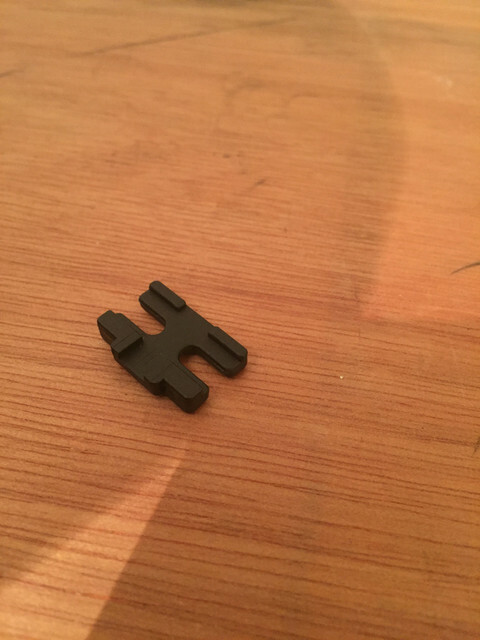 The round hole in the bottom left corner has no defined function, although deep inside it looks like some sort of a connector with unknown purpose. Perhaps some sort of factory diagnostics. P.S. After 8 racquets, I am down to 40 minutes. I am still making mistakes, but I am getting better with every racquet. My son strung 10 racquets, and he is also at about 40 minutes. Too bad it's about $500 more in Europe. 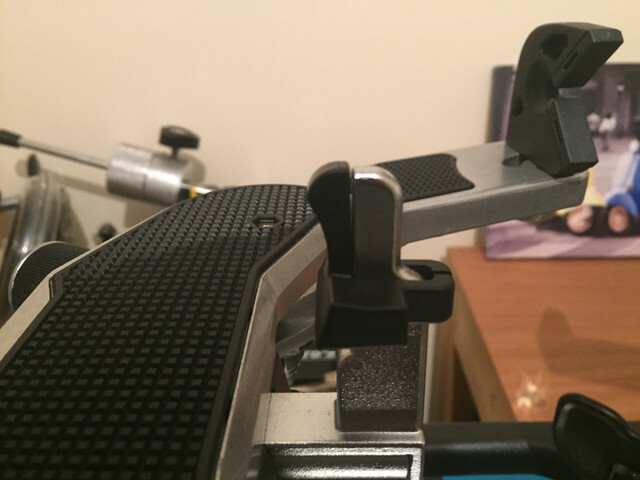 Do you have the footswitch and do you think it would help stringing at all? FFo, thank you! A foot switch is an optional accessory and I do not have it. I do not feel that need it and buying one is not in my plans for now. It is a natural movement of the right hand to run the string around the tensioner, into the slot, and then press the button as a part of the same movement. 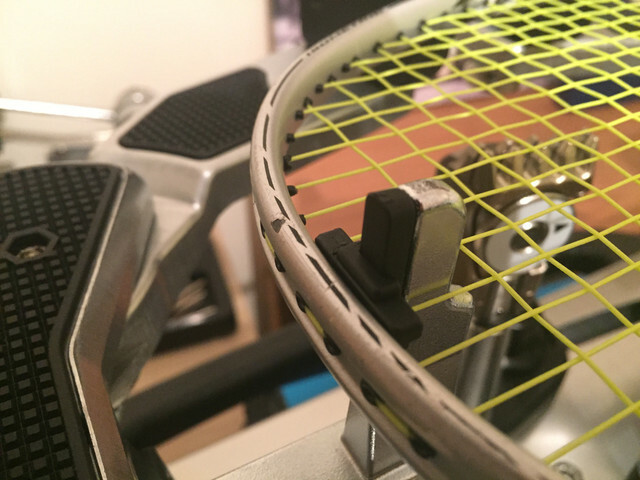 This continuous movement helps to make sure that the button is pressed after the string got into the tensioner slot. High end machine, as FAR as I can tell, do not come with a foot pedal either. The only two accessories which I thought I would need and which I ordered were a starting clamp and a cover. Hi @Andl, from the bottom of my heart, thank you for the insane amounts of effort you have put into this! Although some might think you had too much detail, for me I would far rather have it than not - I have been planning to get an X-ELS for a while and looking to go ahead next month, and this has reaffirmed just what an incredible machine it is. 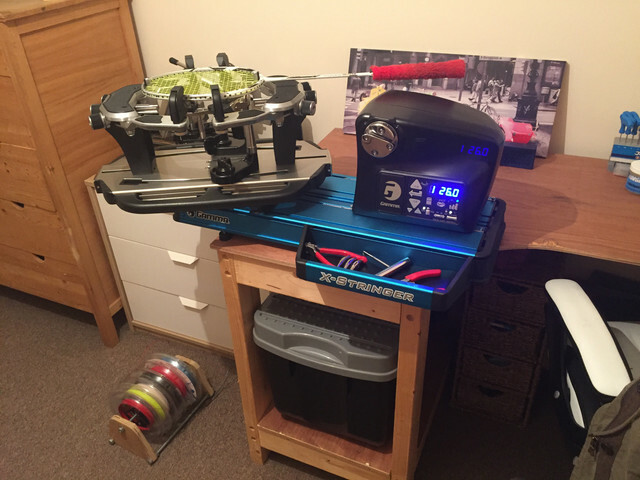 I taught myself to string on a Pro's Pro dropweight 3 years back, and simply want something of better quality and electronic constant pull - decided Gamma for ~£1200 (I am a Brit!) is far better than Pro's Pro electronic for £700. However, when spending over a grand on a stringer it is so so helpful to have a review of this detail to refer to and provide help once I do indeed make the purchase - I have only found a couple of other reviews of the stringer, but they are more of a thread with comparison to other options, so yours blows it out the water (for reference https://www.stringforum.net/board/showthread.php?t=2680 , http://www.tennis-warehouse.com/feedback-XELS.html). I do however have one polite request - do you think you could please tell me the dimensions of the rectangular base, ignoring the turntable? I have a very specific corner on my big desk that I like to keep my stringer, and just want to check that the X-ELS will fit there. Thanks in advance, and again for your review - I can't tell you enough how appreciated it is by me, and probably a fair few others in the future! lukebarnes0511, thank you very much for your nice words! This is much appreciated. Sure, dimensions of the base are easy to measure. Length of the base is 740 mm (29 1/8"). Width of the base depends on where you measure it because there is a tool tray on the right-hand side which sticks out forwards. Width of the base on the right side of the machine, where the tool tray is, is 360 mm (or 13 3/4"). Width of the base on the left side of the machine is 250 mm (or 9 7/8"). Of course turntable sticks out, so no matter how you turn it you need some extra space. And you you mount a racquet, you need even more space for its handle. With the help of this review, I have now bought and started using this fantastic machine. A couple of things to add to this review, from a European consumer (I am a Brit) - machine bought direct from Gamma Europe, shipped and delivered from Germany within 5 days, they were also happy to haggle slightly on price and I ended up convincing them to throw in a machine cover for when I eventually move my machine into the garage! - The european machine also seems not to come with a Gamma string starter pack - this seems to be a purchasable extra! - Bolt tightness - all bolts on the machine seem to done up very tight from the factory. 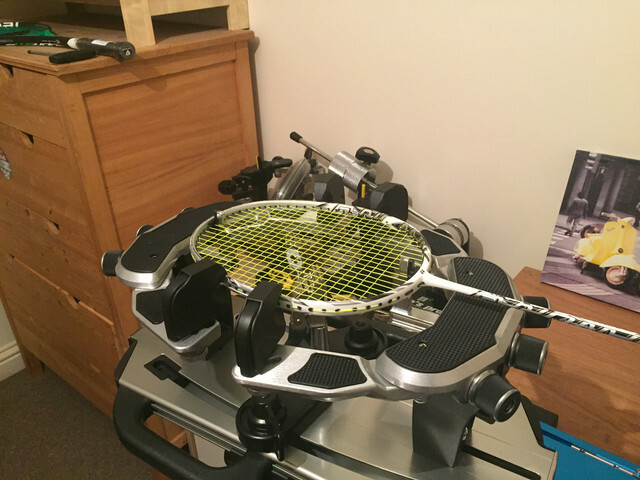 Andl mentioned that he was able to string all tennis rackets without moving the support columns, and instead simply adjusting the top/bottom supports. 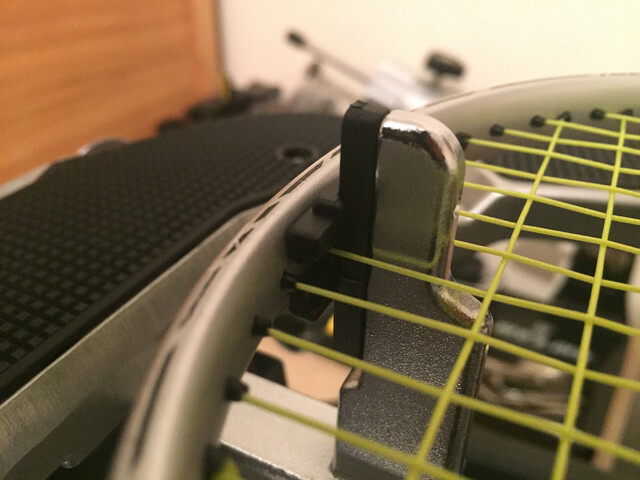 I string badminton, squash and tennis rackets so I did need to adjust the column position - worth noting that a fair amount of force was needed to loosen bolts for the first time! 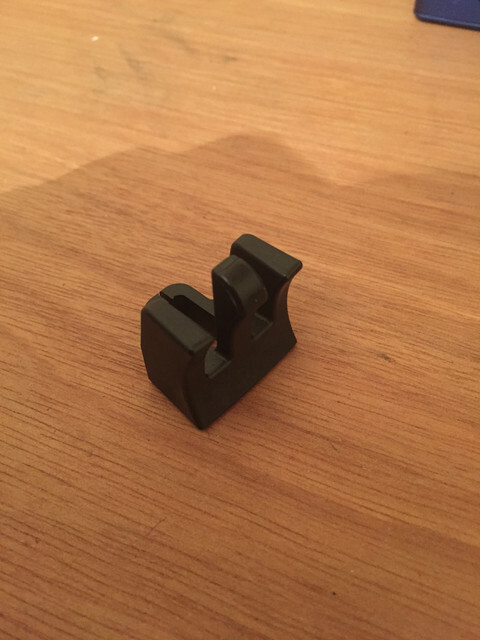 - Finally, and something I was so so glad about - the feet, that are screwed into 'sliders' in the base, are adjustable along the length of the machine (within reason of course, you want to keep your machine as stable as possible so as close to the edges as you can. 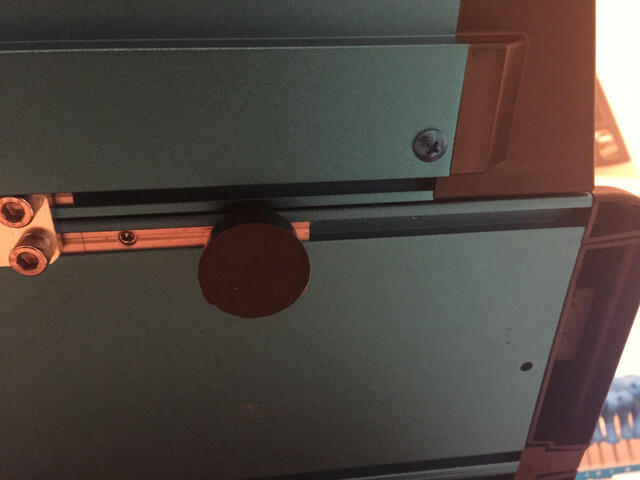 However, if like me you have a certain table or desk on which you want the machine to sit, the feet can be adjusted to fit using an allen key to loosen the slider and retighten it up - see my photos below. This saved me either increasing the size of my desk (I built it myself anyway!) or buying a larger ugly piece of wood for the machine feet to sit on. Gamma also confirmed that adjusting the foot positions is fine! The european machine also seems not to come with a Gamma string starter pack - this seems to be a purchasable extra! When I bought my 6004 machine I got a better price through the USPTA. It was more expensive from TT. Both are drop shipped from Gamma. My box had not string pack either. You get what you pay for. Hehe thanks! I am a Civil Engineer so had access to a *fair amount* of ply and threaded bar - knocked it up on site one afternoon and it's fantastic! I have about 40+ reels of string so I made mine with PVC and 4 fiberglass rods about 2’ wide. I can put 10 reels on each rod. But similar to yours. I was using a wooden dowel in a box but had to keep switching reels. Hi Marc, could you please create another thread and I am more than happy to offer advice on there - Andl has put too much hard work into this review to have other discussions on here! Thank you! 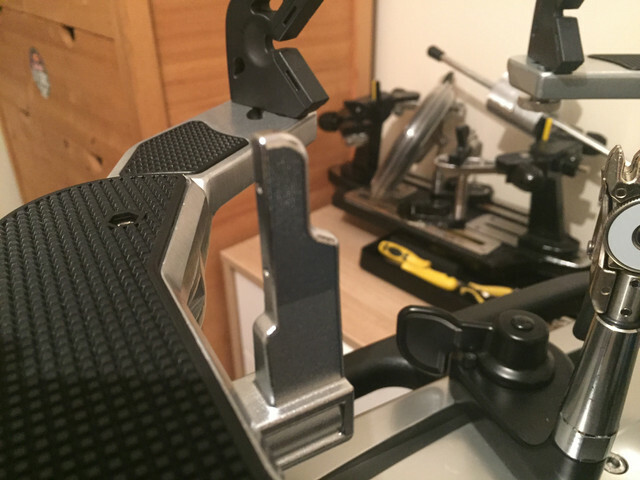 A final note is that all the load spreaders can slide up and down the top and bottom supports, to ensure that the rackets are centred in the k-mounts on the shoulder clamps. This will make more sense when you try and mount a racket! Would there be any possibility of asking if you could make another one? Great thread. Thanks for sharing all this feedback with us. After a few months of use, are you still happy with your X-Els? 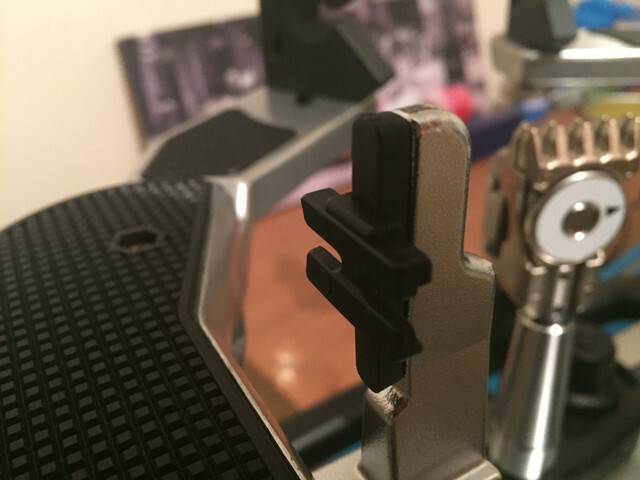 Is there anything you wish you would have had (self centring mounts, better clamps, floor stand, linear gripper, etc)? Is there anything that positively surprised you - you discovered some features better than expected? 2. First positive - the feet the machine stands on in the base can slide! This meant I was able to fit the machine on a thinner part of my desk that I was worried about - massive plus. 6. Tool trays are very useful! 10. The consistency is fantastic - you can tell it pulls consistently due to the sound of mirrored mains when twanged (if you get what I mean) and this all adds up to a joy of a machine to use. Hope this helps, but my bottom line advice is this is a hell of a machine and at the price point I don't think it has many rivals that can compete with it! If it is a choice between a Gamma electronic machine or a cheaper Pro's Pro electronic at £600 cheaper, don't skimp as you won't regret the extra quality once you see how good it is! Second this completely as an owner of this machine. The one and only thing I wish is for a self centering machine, which would make some of these bigger frames a bit easier to deal. Currently I need to adjusting the mounting posts on the tray and the mounting clamps when dealing with oversized rackets and screwing in 4 mounting posts slows things down a bit. 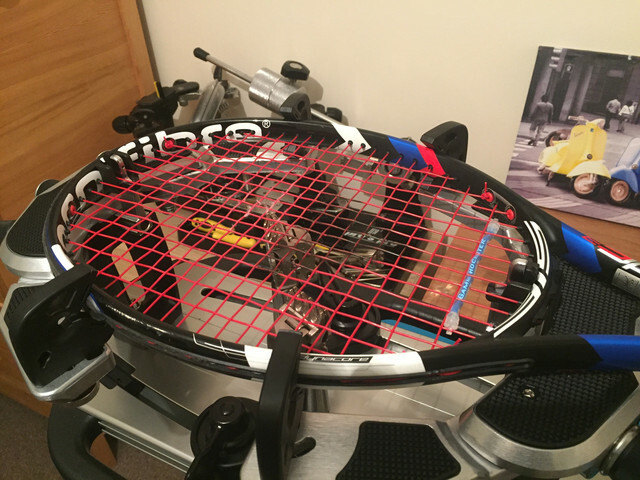 Regardless, my machine is still going strong after 2 years and over 400 rackets! I have a little problem with this machine, with memory button. Machine can memory tesions (1-9), but can not memory pulling speed or pre-strech function. Exemple, in position 1, I fix the tension (25 kg), I fix slow speed, pre-strech 20%, presing enter, and when I turn off machine, tension (25) stay, but speed goes to fast (default), pre-strech turn off... What I do wrong? Hi hlausic, perfectly good English, not to worry! The honest answer is I believe that the memory function is simply for tensions, it does not remember pull speed or pre-stretch - these are things that I decide on each time I turn on the machine/start a new racket. Gamma only sell the machine as having a memory function for tensions, so I believe they will save the tension number only. If it's like that, ok... Thank you! @AndI and @lukebarnes0511, thanks for all your time and great info on this tread (and others)! I’m considering the same X-ELS for my first stringer. How is it working out for you so far? Are you happy with the purchase after a few months now @AndI? I’m considering a gently used one, and I’m a little hesitant to make the move because I’m not sure about how it would be shipped and possible calibration issues arising from shipping in (possibly) poor packaginging, the fact that it is out of warranty of course, etc. Your pictures of unboxing (so complete, thank you!) make it seem plenty secure in the original packaging with the Styrofoam, I'm uneasy about a second-hand pack and ship job and the possible damage/calibration issues that might ensue. Also the one I'm considering does not have a black tension head outter assembly but a grey one, so it's clearly an older model, though I don't know how old -- I don't know when the color shift happened so I can't verify. Can you recommend your starting clamp and cover? And if so, how could I track them down? Many thanks! For one thing, if you find a used one, ask if they still have the original packaging - although I agree that this is not likely. For what it is worth, I kept mine, had to build a special shelf in the garage to store the box, just in case if I ever decide to upgrade it to a Baiardo . It has been more like a year and a half now. So far, so good. 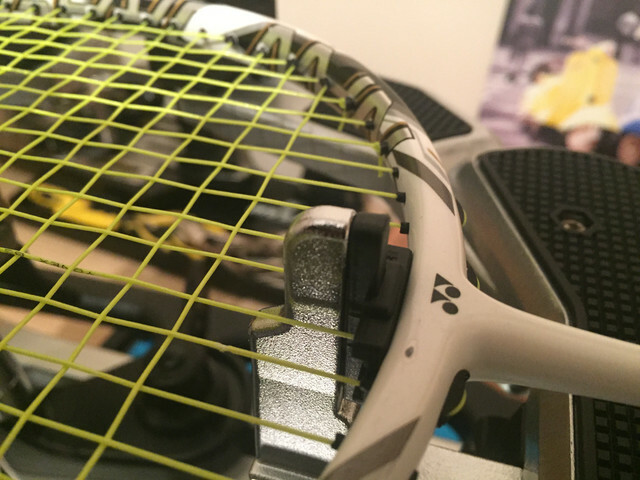 ERT-300 dynamic tension readings have been consistent for the same racquets, stings, and tensions. No issues, really. The only small concern is that the button which triggers the tensioner became a little iffy, like the contact inside is getting worse, one has to push it more definitely than in the very beginning. 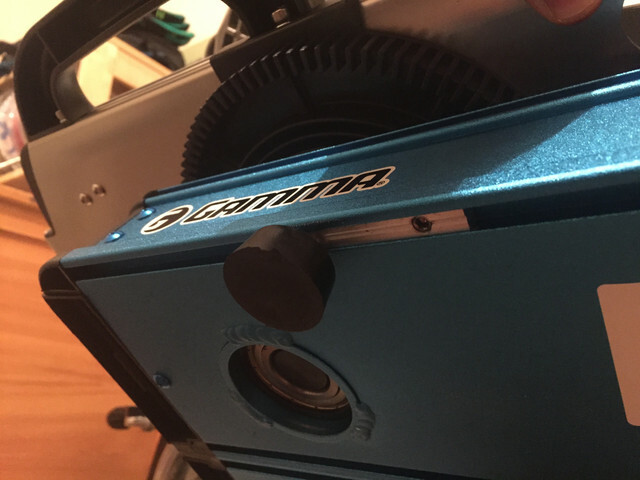 I contacted Gamma, they said this button should last forever and sent me a replacement one free of charge (even though the machine was out of warranty) with explanations how to replace it - super easy, one does not even need to open the machine to do it. I did not get to replace it yet, decided to wait until the original button gets worse. With the exception of this small thing which Gamma totally took care of, everything works very well. The rubber smell which I bitched about in my review (because there was nothing else to complain about) was gone after 3 months. There is really no reason for me to want anything else as it does its job very well and can do everything that high end machines can do. 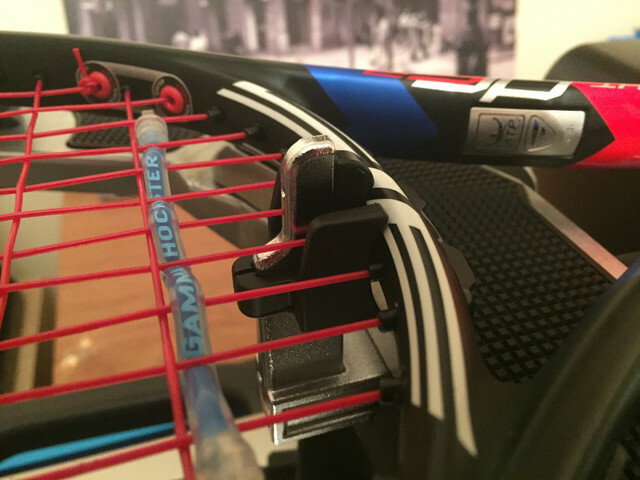 I use Babolat starting clamp. I actually have two of them. Love them. I got mine from UK, as for whatever reason, noone seems to sell them in the US. Easy to find where to buy it, just use Google. They are in the ballpark of $60 or $70 each, I do not remember the exact price - and GBP/USD exchange rate is changing all the time, of course. 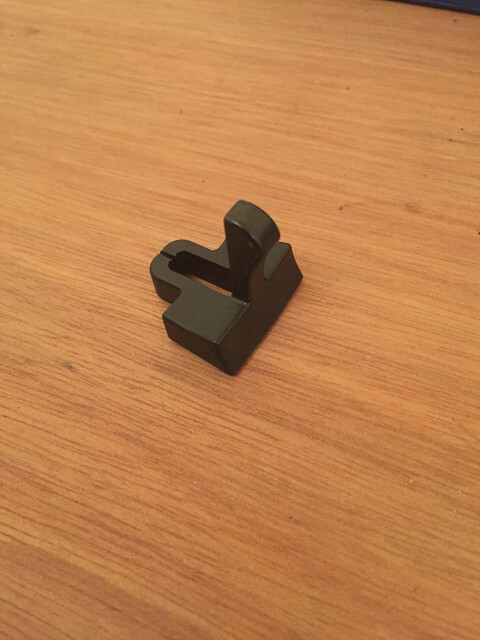 I also have a Gamma starting clamp, it is OK, except I never use it anymore. It is smaller and less powerful than Babolat. It was around $35. I cannot give you names or references to where to buy them because TW forum mercilessly censors all names of competitors and links to them. Even if I post the link, all you would see is *****. Type in the model number into Google and you shall find what you are looking for. In theory, one can also buy a stand for X-ELS (or progression ELS, which is the same thing in a different color), but I've been using it as tabletop. I ended up building a storage tray on wheels, so when not in use, especially during rainy winter months when skiing takes over tennis, I put the machine in this tray, cover with the cover, and roll it under the dining table. This summer, I am considering building an fancy stand with storage drawers, on lockable wheels. We'll see. Many, many thanks! Extremely helpful! macguyvur, you are welcome! Just the other day, I had a conversation with my 12 year old son. He has been stringing his racquets on X-ELS at home, and occasionally has been volunteering to string demo racquets at our local tennis shop (with the owner's permission). He likes the fanciness of their Bairdos, and was quite excited during the first couple of times when he strung on it. Our family situation changed a month ago, when my elderly mother passed away, now we have a room which will eventually become our hobby room. Our stringing machine will find a permanent place there. I asked my son if he wants a Baiardo instead of X-ELS, since now we have space for a machine on a stand and its sight and location in the house will no longer disturb my wife (which was the original motivation to shop for a tabletop machine). He said, no reason to spend extra money, our machine strings just as well. By the way, Gamma has recently released a new version of a desktop machine. There was a thread in this forum about a week ago. Maybe you were involved in that discussion as well, sorry I can't remember. For extra $600, one gets a fancier linear tensioner and slightly upgraded clamps. So far, there was only one very detailed video on Youtube on the new machine, shared by a user in Germany (so it is in German). I wonder if it is meant to replace the ELS line, or the two will co-exist. It Gamma choses to discontinue the current ELS product line, there will be nothing left under $2000 in the stringing machines market that is worth buying (at least, according to my taste based on the task of proportional stringing of natural gut). It looks nice and seems like maybe a replacement for the ELS line. If it's to be its own separate line, I would have hoped for self centering posts instead of having to screw the bolt for different head sized rackets. That's the one thing that annoys me the most on my current Progression ELS II Tabletop. 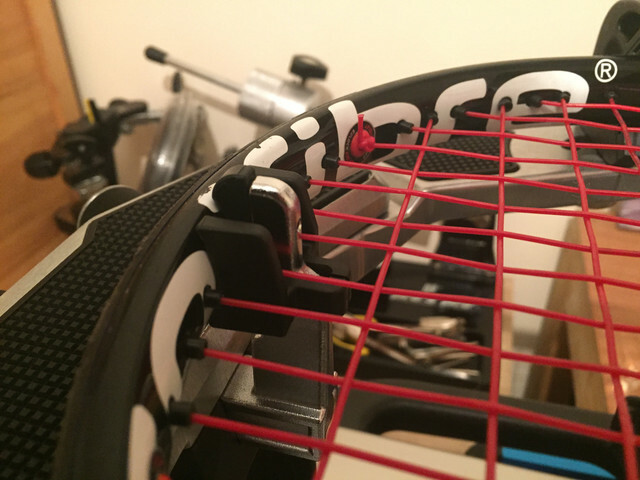 instead of having to screw the bolt for different head sized rackets. That's the one thing that annoys me the most on my current Progression ELS II Tabletop. Not sure why people keep moving the post on these machines. You can move the post out about an inch from the ends. 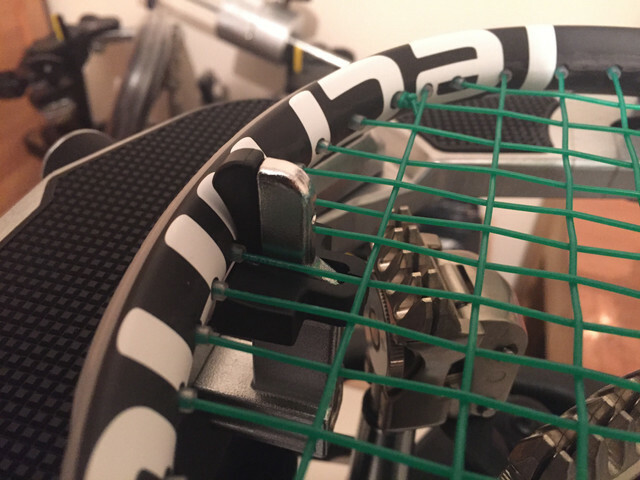 The standards at 6 and 12 adjust just like on Babolat, Wilson, and other high end machines. I have not had to move my post in years. I talk about it in this video at around the 3 and a half minute mark. Sorry that's my fault, I should have been more detailed with my train of thought. I agree that you can do most rackets. There are some very old school rackets like the Head i.X3 OS or any big head sizes that I have to string up for teammates and I definitely need to change the mounting position for those rackets. Other than that, I do appreciate all the quality work that I've been able to do with this machine. I've already made triple the machine's worth by stringing for friends and family. 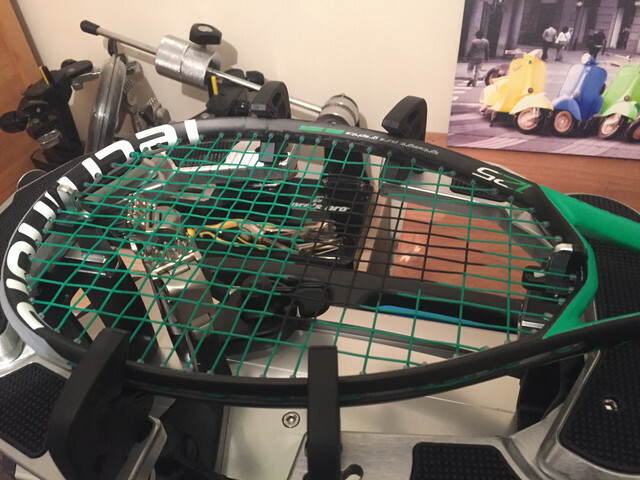 Hi AndI, after about 1.5 years, what is the average time for you to string a racket? I only string natural gut or natural gut based hybrids, only proportionally per Sergetti, and only for myself, my son (when he is lazy to do it himself), and for a couple of friends. I do not bother timing myself and I like to not rush with gut and with proportional stringing. Natural gut likes slower speed to avoid kinks. I think a racquet strung like this takes me about 45-55 mins or so, including mounting the frame and prestretching the gut to remove coil memory, but this is just an estimate. A better metric for time would be stringing at a fixed tension with something like syn gut or poly. I have not done it in a long time as I do not string for profit and I do not use that type of string beds. So, I cannot answer your question. My guess is that I probably would do syn gut in 30-35 mins or less, but it is just a guess. I know what I am doing, my reproducibility got better over time, but my stringing volumes are low, like 5 racquets per month in summer and two racquets per quarter during winter. Stringing for profit is not attractive for me. Maybe when I retire I could fill my free time with that, but not any time soon. USRSA certification requirement, if I remember correctly, is 50 minutes. This is a fairly easy target for stringing with fixed tension and reasonably friendly strings. Thanks AndI. I think I'm gonna buy the Gamma Progression II ELS. The Gamma Progression II ELS is $30 less than the Gamma X-ELS. Both models are pretty much the same as you said before. Only disadvantage now is that the prices are a lot more than when you bought it in 2017.